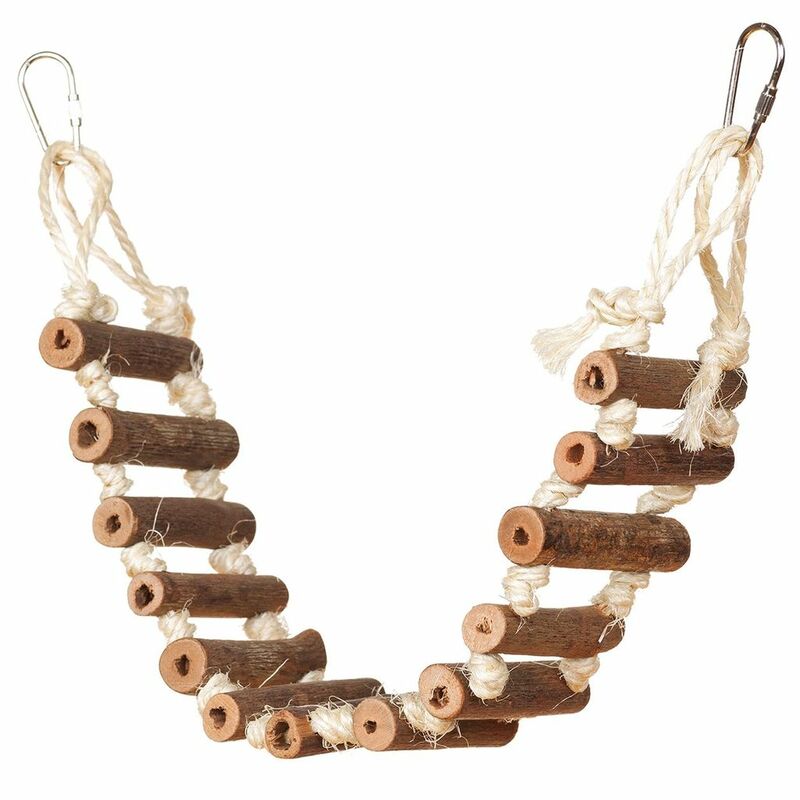 Bird Naturals Rope Bird Ladder - 20" - Rick's Pet Stores Inc.
Naturals Rope Bird Ladder - 20"
Home / Naturals Rope Bird Ladder - 20"
The Prevue Hendryx 20" Naturals Rope Bird Ladder is the perfect toy for promoting foot exercise and mental stimulation. Your birds will experience rugged physical play through exciting, 100% natural and eco-friendly materials! Watch as they climb back and fourth on this unique, handmade design created with hevea wood, branches and sisal rope. Easily attach this toy to the cage with the quick-link attachments. 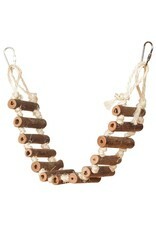 Your bird will love its new toy, given to him by their favorite owner. 3" x 20"